Looking at these exquisite portraits from Yasutomo Oka, you might think that the 34-year-old Aichi Prefecture resident is a talented photographer. The truth is, though, that none of the young women’s images seen here were captured with a camera. Your next guess might be that they’re CG, but that’s not the case either. That’s because Oka is a painter, and these amazingly lifelike portraits are all actually oil paintings. While Oka says there are real-life models for the women he paints, their actual appearance is merely the starting point from which he makes alterations to arrive at the image he wants to create. Not surprisingly, creating such intricate artwork is a major time investment. The portrait of the woman in the cream-colored kimono that appears in the upper left corner, for example, took about 20 days to complete, Oka estimates. 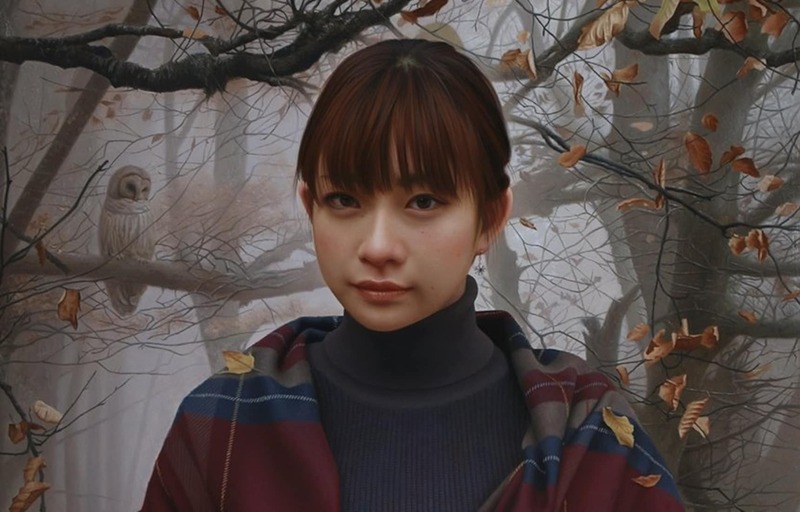 Along with his ability to blend smooth body counters with stiff hair and eyelash detail, part of what makes Oka’s artwork so realistic is his use of color, as even the eyes he paints are shown reflecting the in-painting light. That’s not to say Oka has to use color to impress, though, or even brushes. His pencil sketches are also incredible, if not quite as likely to fool people into thinking they’re looking at an actual person. Unfortunately, Oka’s most recent gallery exhibition, which took place at Site Aoyama in Tokyo, wrapped up in February. However, if you’d like to see his work in person, either to admire it close-up or to convince yourself that it’s really not a photo, the artist posts information on upcoming exhibitions on his website here, or follow him on Twitter.